Hoy 27 de enero de 2011, desde el teatro Kodak en Los Ángeles empieza la transmisión de la ceremonia de entrega de los Oscar a las mejores producciones cinematográficas del 2010. 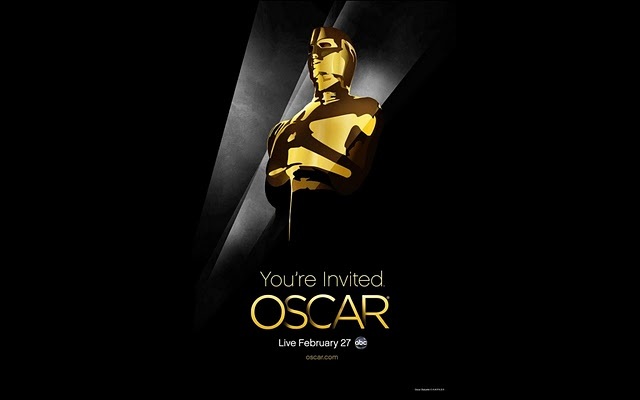 La transmisión de los Oscars 2011 en México estará a cargo de Tv Azteca y TNT, todo empieza a las 7:30 pm (hora de Mexico). Líneas más abajo encontrará enlaces para ver la ceremonia ONLINE . * Darren Aronofsky (Black Swan). * David O. Russell (The Fighter). * Tom Hooper (The King’s Speech). * David Fincher (The Social Network). * Joel Coen & Ethan Coen (True Grit). * Jeff Bridges (True Grit). * Jesse Eisenberg (The Social Network). * Colin Firth (The King’s Speech). * James Franco (127 Hours). * Annette Bening (The Kids Are All Right). * Nicole Kidman (Rabbit Hole). * Jennifer Lawrence (Winter’s Bone). * Natalie Portman (Black Swan). * Michelle Williams (Blue Valentine). * Amy Adams (The Fighter). * Helena Bonham Carter (The King´s Speech). * Melissa Leo (The Fighter). * Hailee Steinfeld (True Grit). * Jacki Weaver (Animal Kingdom). * Christian Bale (The Fighter). * John Hawkes (Winter´s Bone). * Jeremy Renner (The Town). * Mark Ruffalo (The Kids Are All Right). * Geoffrey Rush (The King´s Speech). * Cómo entrenar a tu dragón (Chris Sanders y Dean DeBlois). * The Illusionist (Sylvain Chomet). * Toy Story 3 (Lee Unkrich). * In a Better World (Dinamarca). * Outside the Law (Argelia). * 127 Hours (Danny Boyle & Simon Beaufoy). * The Social Network (Aaron Sorkin). * Toy Story 3 (Michael Arndt, John Lasseter, Andrew Stanton y Lee Unkrich). * True Grit (Joel Coen & Ethan Coen). * Winter´s Bone (Debra Granik & Anne Rosellini). * Another Year (Mike Leigh). * The Fighter (Scott Silver, Paul Tamasy, Eric Johnson y Keith Dorrington). * The Kids Are All Right (Lisa Cholodenko & Stuart Blumberg). * The King´s Speech (David Seidler). * Cómo entrenar a tu dragón (John Powell). * The King´s Speech (Alexandre Desplat). * 127 Hours (A.R. Rahman). * The Social Network (Trent Reznor y Atticus Ross).